This premium handset will hit T-Mobile, Sprint, and Verizon Wireless soon, starting at $599.99 USD. LG V10 is a large-screen handset related to the notorious LG G4 flagship, having the same QHD resolution, 3000 mAh removable Quick Charge battery, as well as the hexa-core Qualcomm Snapdragon 808 SoC under the hood. However, it also has a few different parts, the most attractive one being its always-on secondary display used to deliver important reminders and notifications. 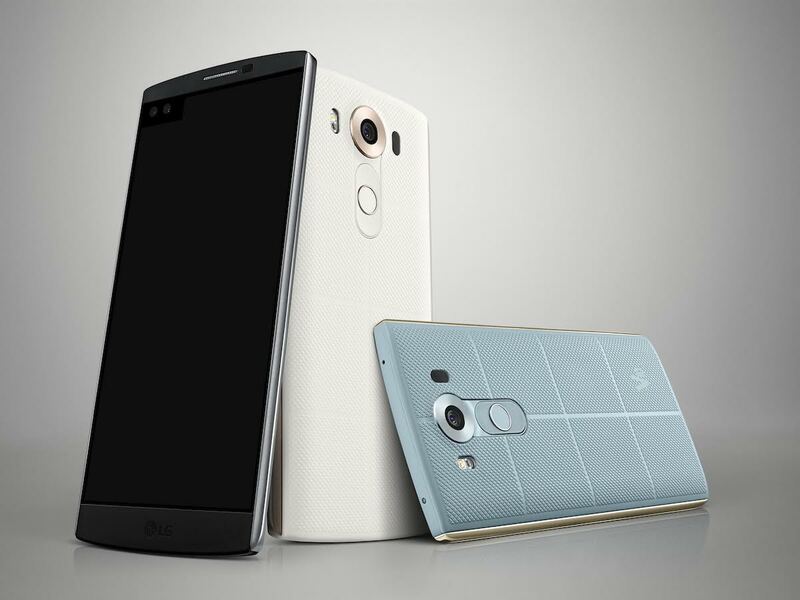 The 5.7-inch LG V10 also features 4 GB memory, 64 GB internal storage, as well as microSD support. Its highlights also include a 32 bit HiFi DAC by ESS Technology, a pair of Quad Beat 3 earphones made by LG and AKG Acoustics. Another strong point of the V10 is its adherence to SanDisk's Extreme Photo-Imaging Capabilities (EPIC) guidelines - the first mobile device to meet these specs. Buyers of this handset in the US can get a free 200 GB microSD card and a 3000 mAh battery and charging cradle if they complete the purchase by November 15. The full retail price of the LG V10 starts at $599.99 USD (T-Mobile) while Verizon Wireless and AT&T will sell it for $672 USD and $699.99 USD. Pricing and availability for the other launch markets will be announced locally. LG’s first V Series smartphone was designed to provide a rich multimedia experience for today’s socially savvy consumers. The LG V10 offers distinctive new features such as a Second Screen, Dual Front Cameras and Manual Video Mode to make both consumption and creation of multimedia content as seamless as possible. Featuring LG’s signature removable battery (3,000mAh) and microSD card slot, the LG V10 has the distinction of being the first smartphone to meet SanDisk’s guidelines for Extreme Photo-Imaging Capabilities (EPIC) to distinguish exceptional photography and video experiences in smartphones. As an advanced multimedia smartphone, audio quality was also given top priority consideration. The V10 plays back high-definition music via its 32 bit Hi-Fi DAC by ESS Technology, a first in a mobile device. It accomplishes this by upsampling standard-definition audio files to 32 bit Hi-Fi format. The supplied Quad Beat 3 earphones were developed in partnership with AKG Acoustics, the European manufacturer of high-end headphones, microphones and audio systems for professionals. With the latest version of LG’s Quad Beat earphones, the V10 users can enjoy richer low sounds and clearer high sounds. Prices and availability dates will be announced locally.